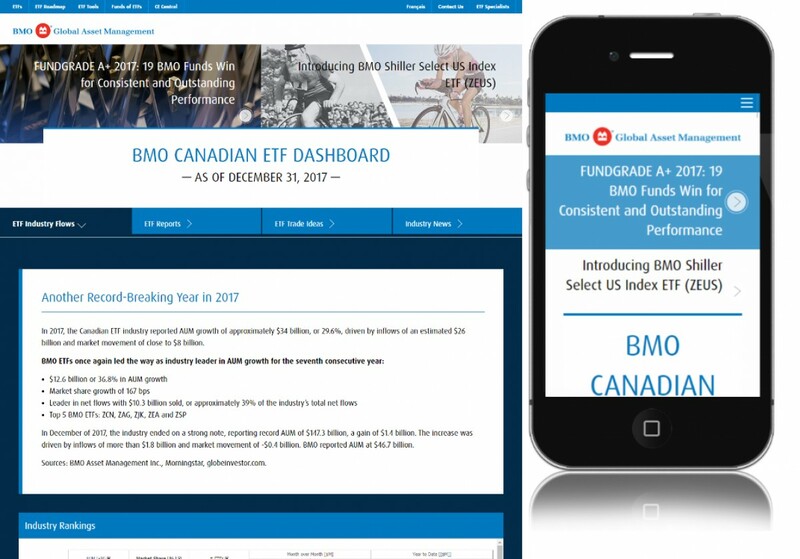 BMO ETF is a multilingual, English & French, site built with Craft CMS. 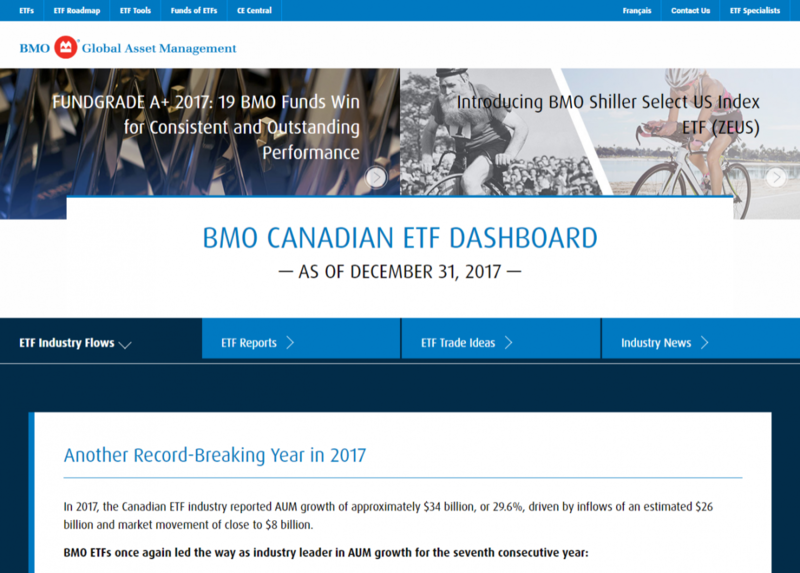 This is a rebuild of a previous site. There are many improvements including a new design and site architecture. 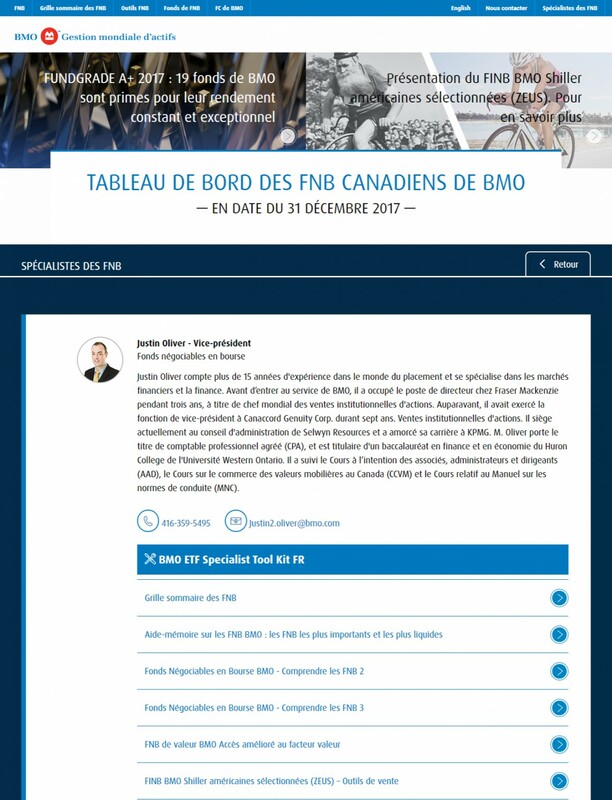 The client is easily able to update content in English or French. The client is able to easily publish new iframes and choose the width for each frame from within the publish page. Additionally the navigation is editable by the client. Site design and project management by Capital Communications. I have worked with Sean since 2012 on a number of projects. Sean is a highly skilled web developer, he is communicative, professional and easy to work with. Sean is quick to answer questions, provide creative solutions and advise on new and existing projects. Sean's understanding of web technologies and drive to understand our client's requirements makes him an invaluable asset to our team. He treats our projects as his own.